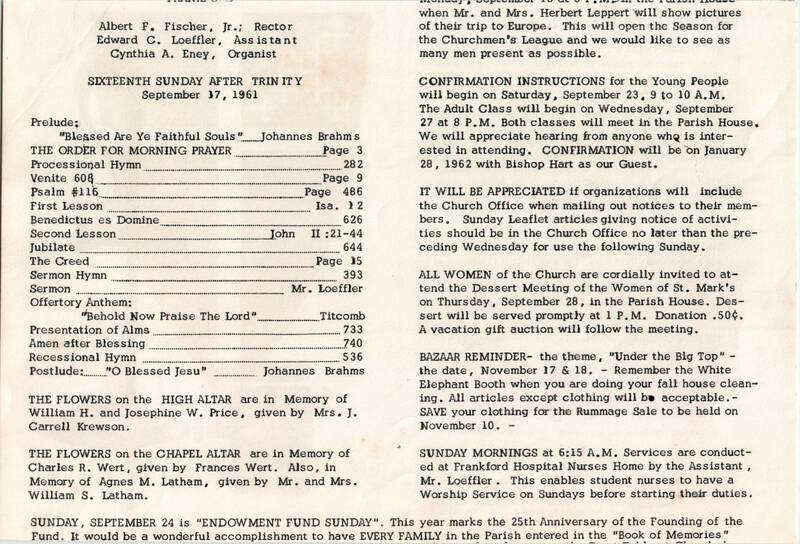 Tag Archives: Albert F. Fischer Jr. 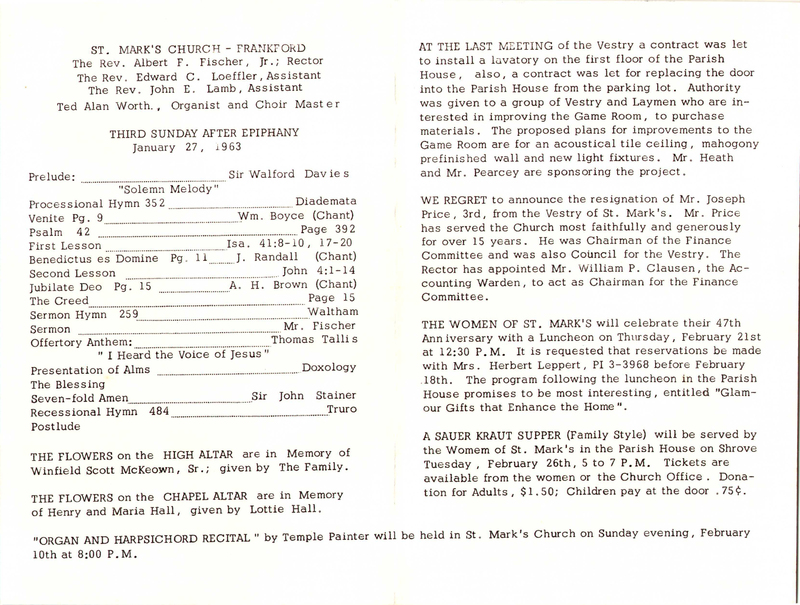 This entry was posted in St. Mark's Church (Frankford) and tagged Albert F. Fischer Jr., Frankford, Northeast Philadelphia on January 30, 2019 by mjk38. 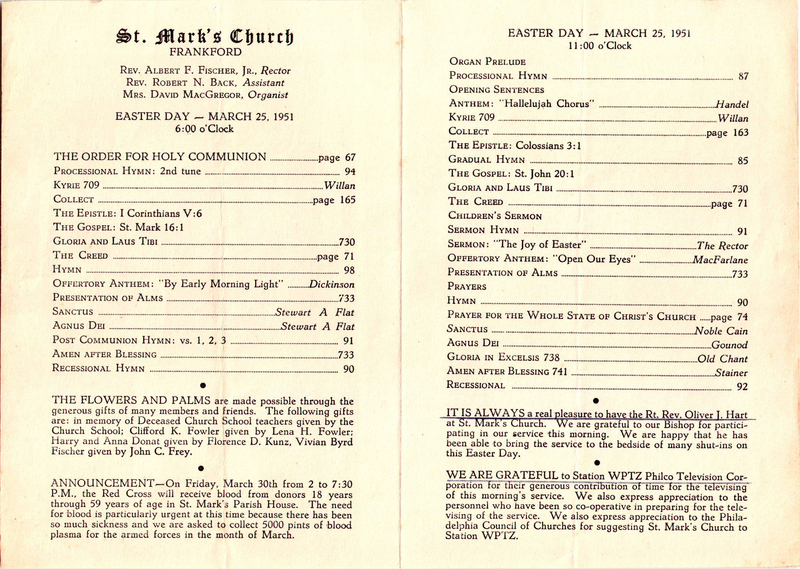 This entry was posted in St. Mark's Church (Frankford) and tagged Albert F. Fischer Jr., Frankford, Northeast Philadelphia on January 16, 2019 by mjk38. 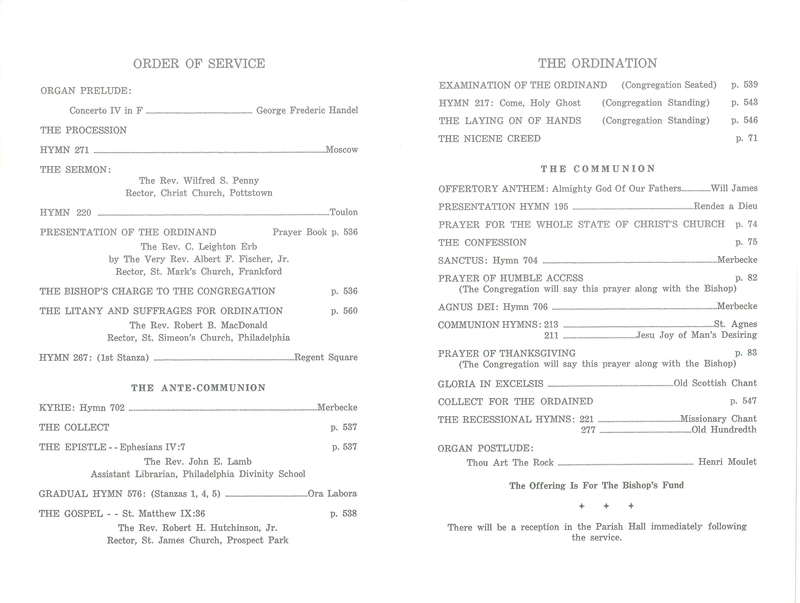 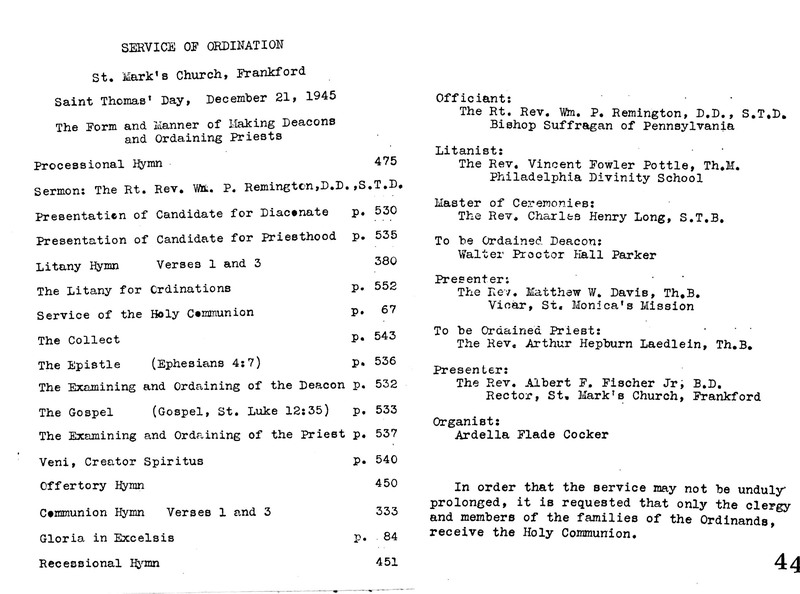 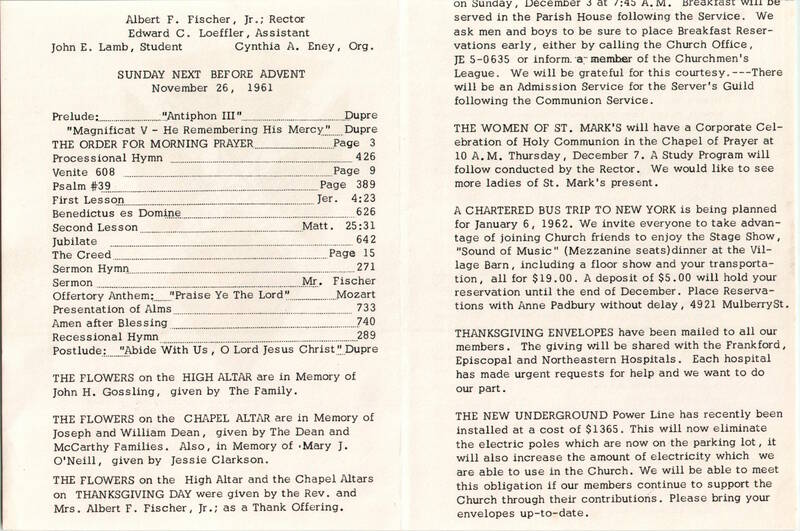 This entry was posted in St. Mark's Church (Frankford) and tagged Albert F. Fischer Jr., Ardella Flade Cocker, Arthur H. Laedlein, Charles H. Long, Frankford, Matthew W. Davis, Northeast Philadelphia, Vincent Fowler Pottle, Walter Proctor Hall Parker, William P. Remington on December 1, 2018 by mjk38. 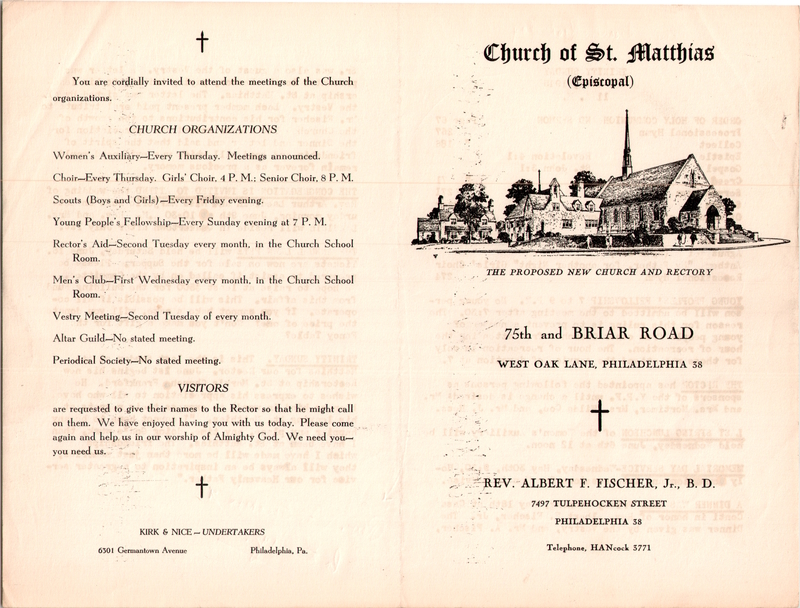 This entry was posted in Church of St. Matthias and tagged Albert F. Fischer Jr., Archives of the Diocese of Pennsylvania, Northwest Philadelphia, West Oak Lane on May 28, 2018 by mjk38. 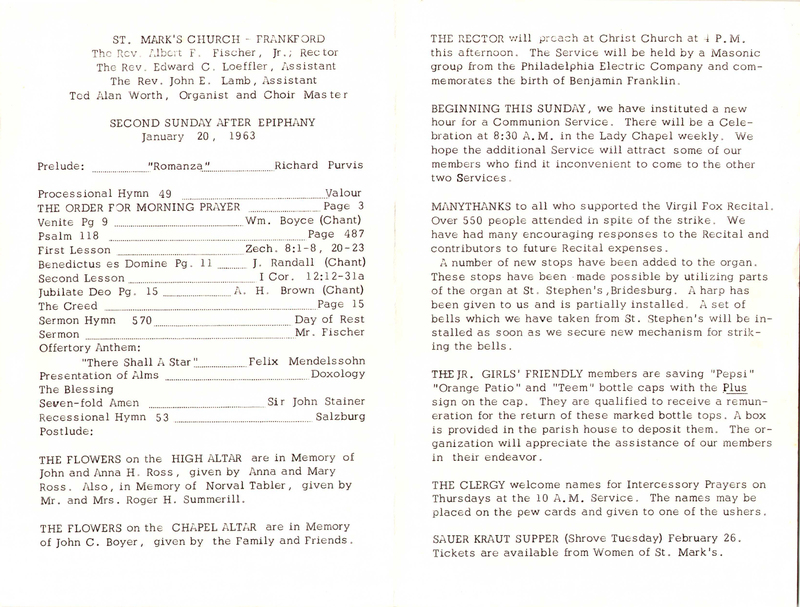 This entry was posted in Church of St. Matthias and tagged Albert F. Fischer Jr., Archives of the Diocese of Pennsylvania, Northwest Philadelphia, West Oak Lane on May 1, 2018 by mjk38. 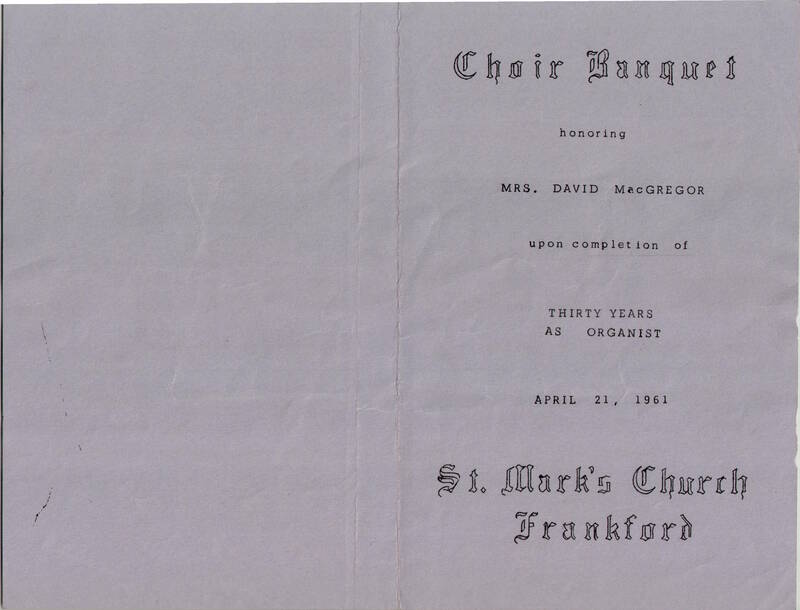 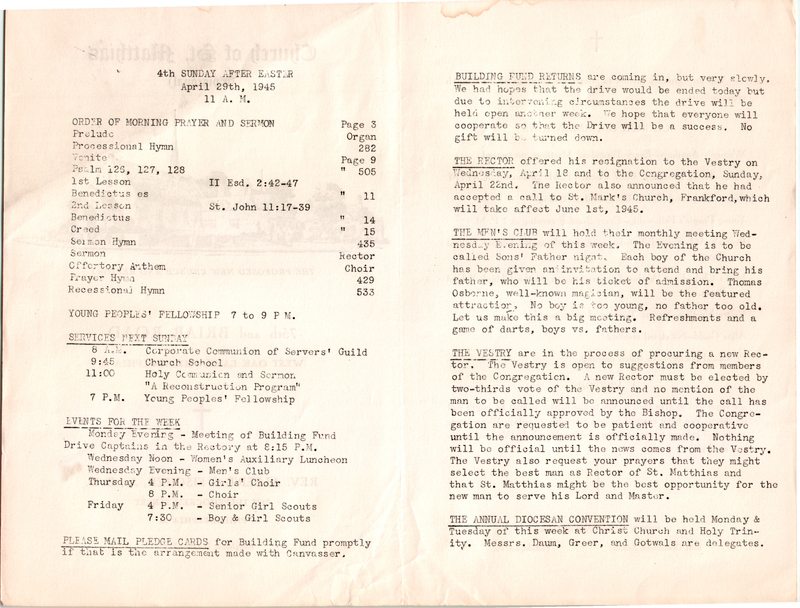 This entry was posted in St. Mark's Church (Frankford) and tagged Albert F. Fischer Jr., Anna MacGregor, Frankford, Northeast Philadelphia, Robert Nelson Back on March 29, 2018 by mjk38. 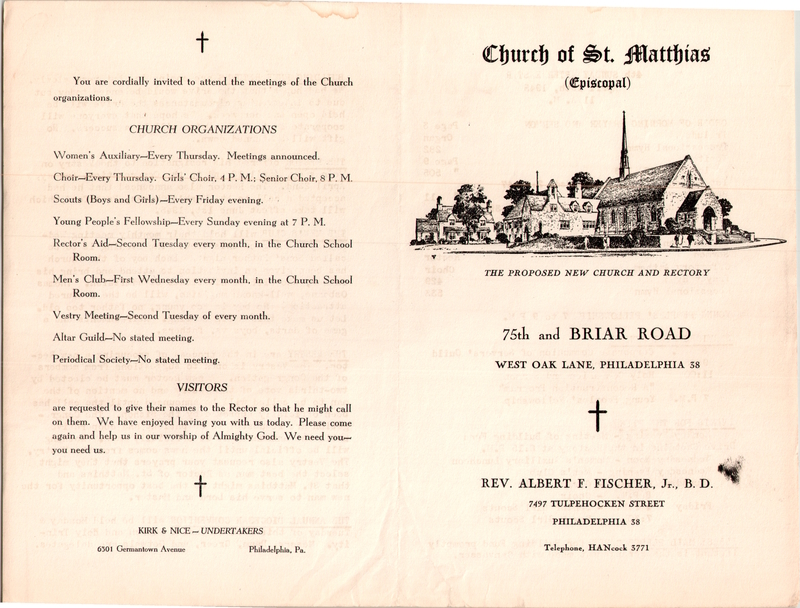 This entry was posted in St. Mark's Church (Frankford) and tagged Albert F. Fischer Jr., Edward C. Loeffler, Frankford, Northeast Philadelphia on September 17, 2017 by mjk38. 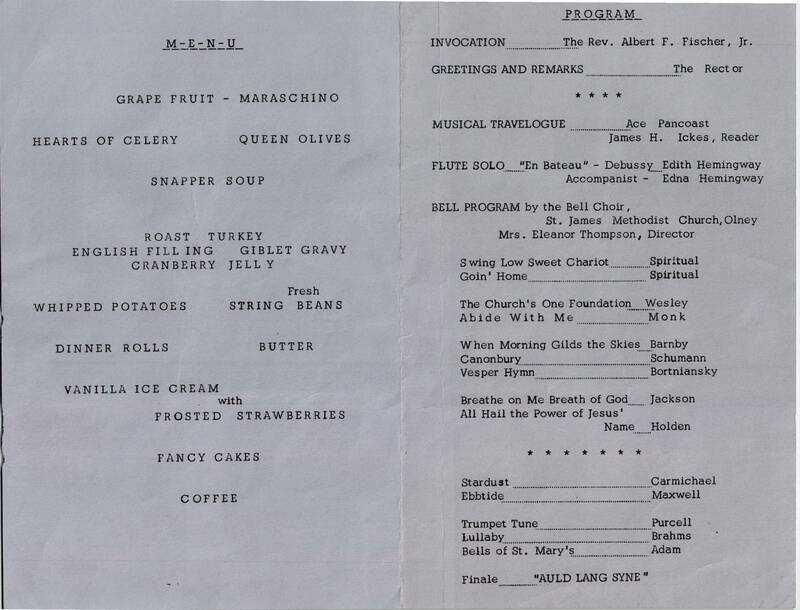 This entry was posted in St. Mark's Church (Frankford) and tagged Albert F. Fischer Jr., Anna MacGregor, Frankford, Northeast Philadelphia on July 28, 2017 by mjk38. 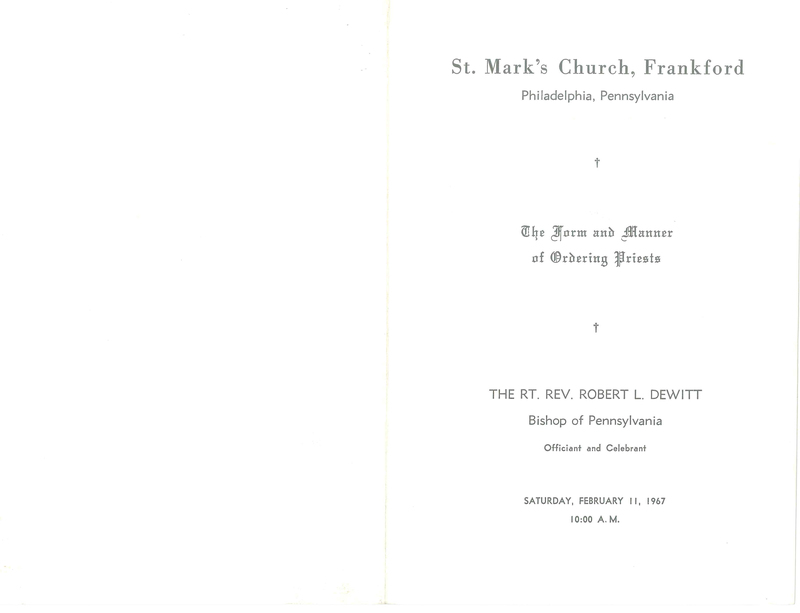 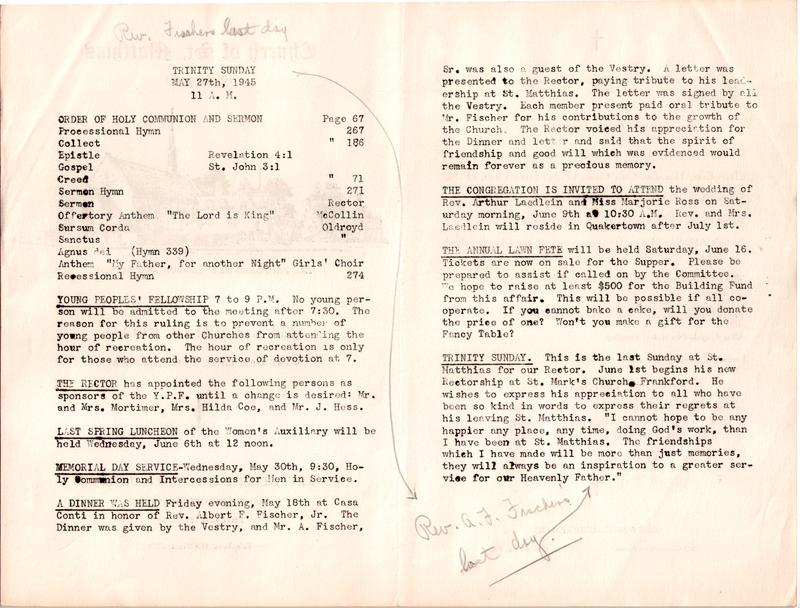 This entry was posted in St. Mark's Church (Frankford) and tagged Albert F. Fischer Jr., C. Leighton Erb, Frankford, John E. Lamb, Northeast Philadelphia, Robert B. MacDonald, Robert Lionne DeWitt on July 24, 2017 by mjk38.